I decided to take my treasures and create a fun Driftwood Mirror for the nursery. 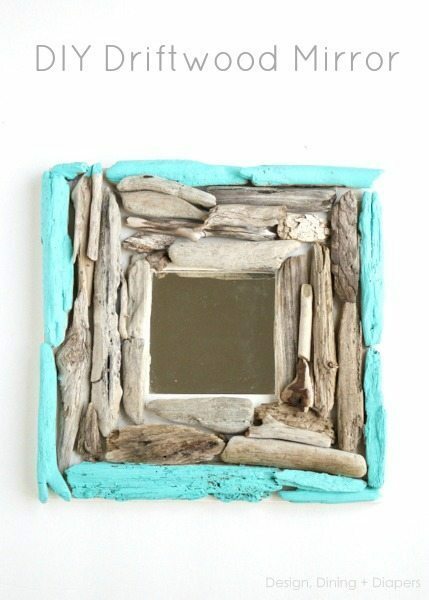 This fun piece could be used as a piece of modern decor or used in a beach themed space and is very inexpensive to make. 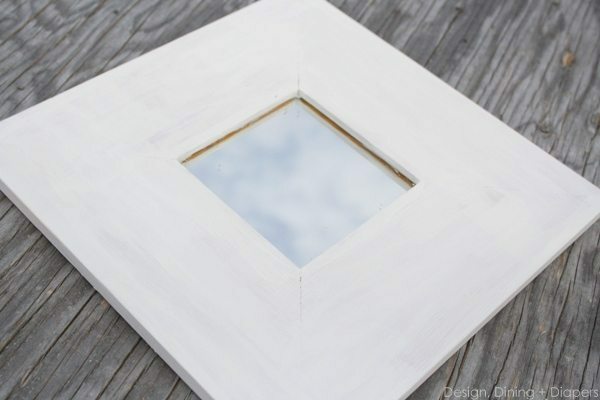 I started by giving the mirror one base coat of white acrylic paint to brighten it up. Next comes the hardest part of the project, trying to fit the pieces together. It’s like putting together a puzzle and I must say it’s a little therapeutic! I laid all of my pieces out first and then hot glued them in place. As much as I love mixing natural elements with bright white, I thought this project just needed a little burst of color. I went with a Blue Bahama to give it that little modern twist. So next time you are on a beach, keep your eye out for hidden treasures! What types of things scream summer to you? 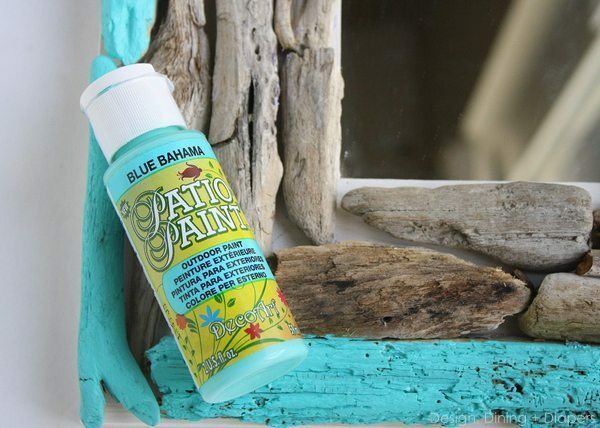 Do you decorate your home for summer time? Absolutely love it! 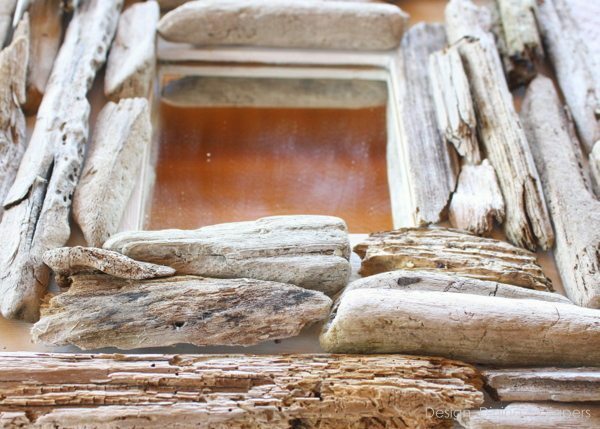 I love driftwood too. It’s such a fun, fresh look. You did an awesome job! 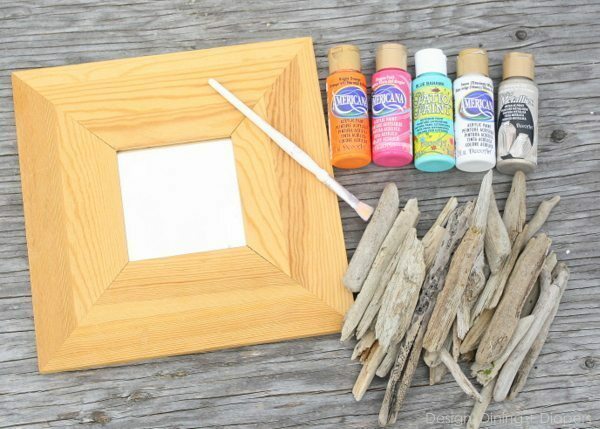 This is a super cute and fun project! Great job! Ooh these is so fun! I love the pop of color you added. Love this idea, I pinned it! So cute, Taryn! Love the pop of color! Such a cute idea, girl!!!!! I love it! Thanks so much for sharing! I am pinning and sharing on my FB page! LOVE IT! The beach is my “Church”, and I am always looking for fun things to pick up and bring home to create with! I have a long piece of drift wood drying right now! Thank you for inspiring me further, and I love the color! Such a beautiful mirror, Taryn. I love the color you used on the outside pieces. so pretty, Taryn!! Such a fun way to incorporate a little pop of color! !